When your running for your life, falling in love can be difficult. As someone who writes romantic suspense, though, I know you have to temper the suspense with a generous amount of love to make a successful romantic suspense. This month, I have three Christian romantic suspense novellas out. All three deal with love on the run. 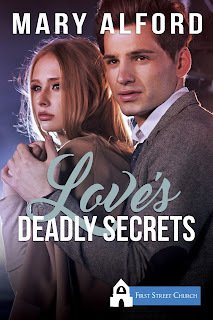 In Love’s Deadly Secrets – A First Street Church Novella available at Amazon, Isabelle Dunn’s past was wiped away one night when the car she was driving went over the side of the mountain, killing her best friend. Isabelle knows she is lucky to be alive. If it weren’t for her fiancé’s quick action, she might have died that night. Yet it isn’t long before Isabelle comes to realize everything she was told about the accident was a lie, and the man who claims to be her fiancé, is really a cold-blooded killer. To stay alive, Isabelle flees Buffalo Ridge, Wyoming while looking back over her shoulder. When she stops to catch some sleep just inside the city limits sign for Sweet Grove, Texas, she has no idea how much the quant little town, and Texas Ranger Seth Walker, will change her life for the better. Ranger Seth Walker had written love out of his life after he watched his twin sister die at the hands of someone she loved. Seth wasn’t able to save Sarah. Can he protect Isabelle now? 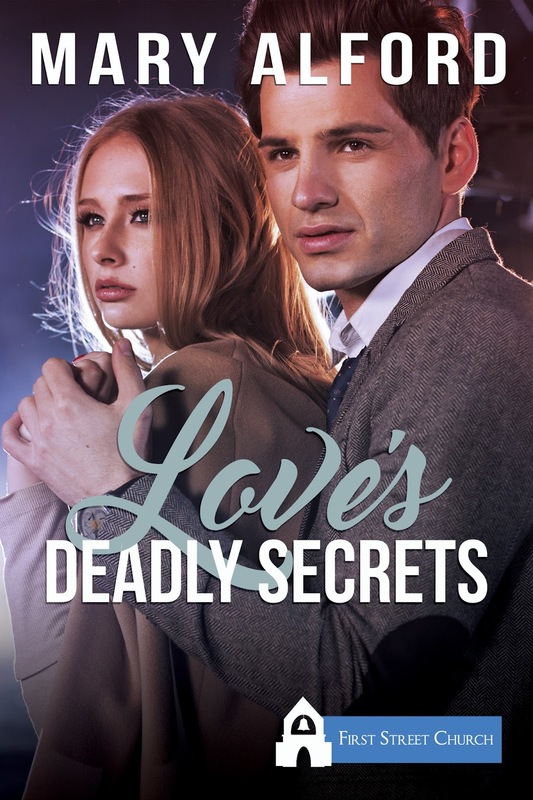 Forced into hiding until they can untangle the web of deceit Detective Paul Hardwick has spun, unexpectedly, Seth and Isabelle can’t stop the attraction they feel for each other from turning to love. With Seth’s help and God’s protection, will Isabelle remember what really happened the night her friend died before Paul Hardwick can silence those memories forever? In Eye of The Storm – Available at Amazon, Former CIA Agent Kate Reagan finds herself in the middle of storm that has disrupted her life for six years. When Kate’s entire team was killed by the terrorist they’d been chasing for months, Kate finds the only way to save her life is to pretend to lose it. 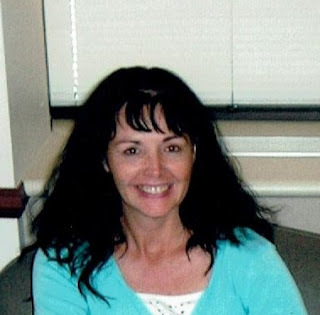 After moving dozens of times through the years, Kate ends up in the small mountain town of Soaring Eagle, Wyoming where everything about the place screams of the home she’s been longing for. Running into Deputy Sheriff Brady Connors, Kate finds herself attracted to the handsome frontier lawman right away, but having a future is not possible while the enemy is still stalking her. 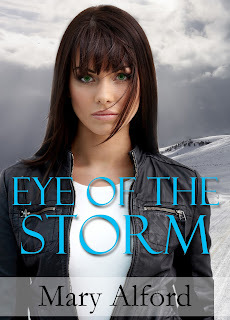 With Brady’s help, Kate is about face the showdown she’s been expecting for a long time, when the enemy coming after her proves to be closer than Kate could ever imagine. 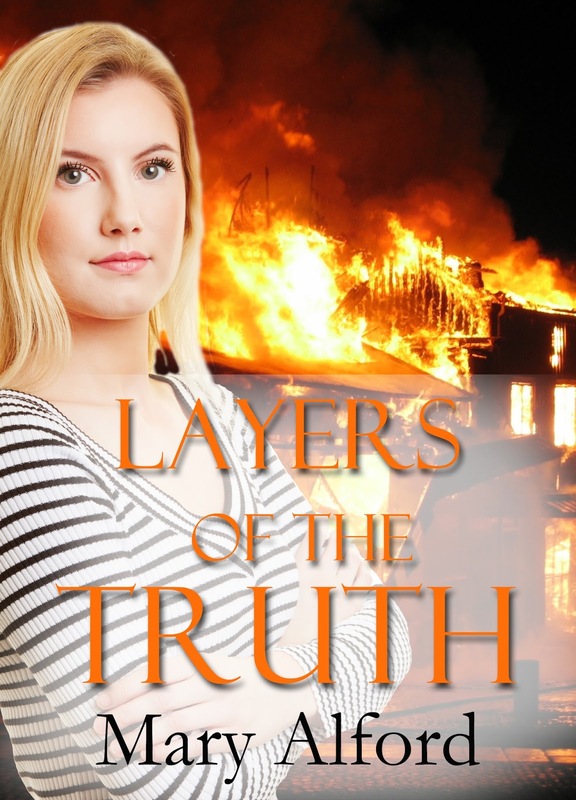 And in Layers Of The Truth - now available at Amazon, Cady Russell receives aheartbreaking call from Deputy Sheriff Aamon Lone Elk, telling her that her sister has died in a fire that mimics the one that took her parents’ lives twenty years earlier. Cady knows she has to return to Wyoming to find out what really happened to Samantha. Deputy Sheriff Aamon Lone Elk knows a little about grief himself. He lost his wife to a drunk driver five years earlier. Aamon still isn’t able to move beyond the pain. Yet meeting Cady Russell throws him. She is both beautiful and strong, and he is attracted to her right away. Cady has been lost in the past as well, unable to move beyond the tragedy that claimed her parents. Now her sister is dead by the same means, and she is convinced the two fires are related. 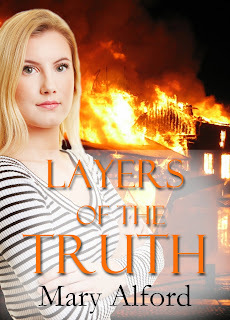 As the attraction between then continues to grow, can Aamon keep Cady safe as they peel back the layers of lies connected to the two fires? Or will a killer bent on keeping his deadly acts secret send them both to their graves? Congratulations on your three new releases, Mary! Wow Mary. That's great. I already bought the first one. I will have to check.out the others. Love your stories. Thank you so much, Gina. Congratulations on the 3 novellas. I love stories on the run. Wow, Mary, that's wonderful! 3 novellas out in one month. Sincere congratulations!